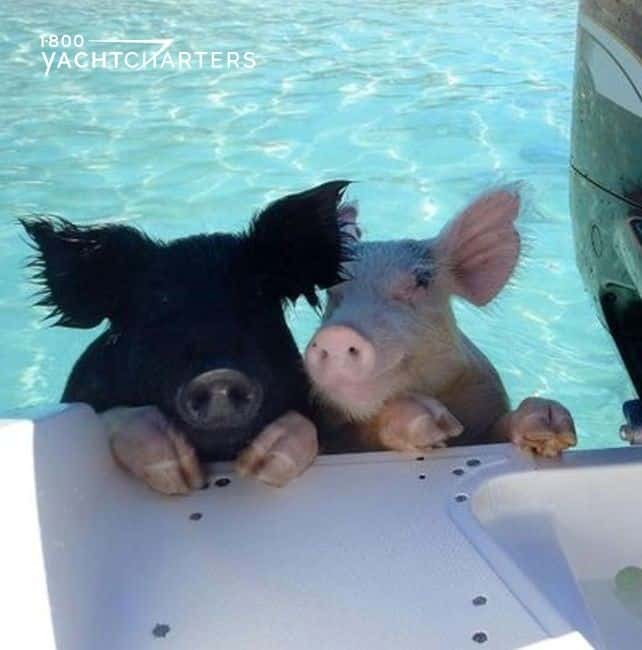 Posts tagged "florida yacht charter"
Yikes, did that get your attention? 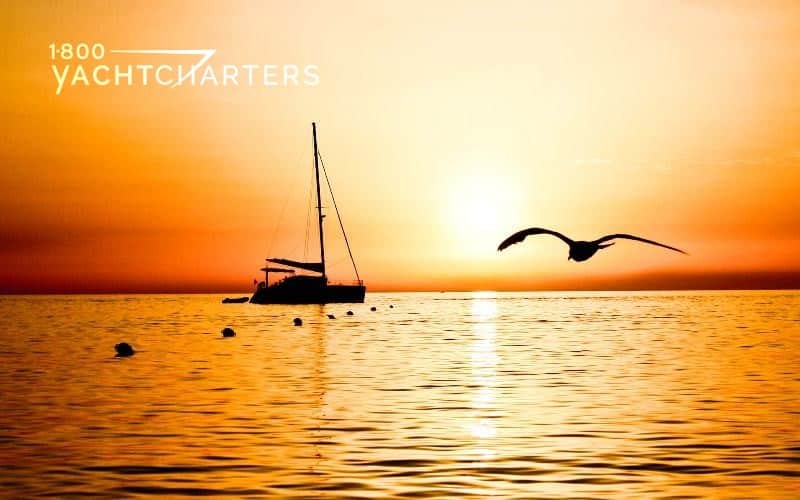 Perhaps you are planning a mega yacht charter or a luxury sailing charter. You are wondering if “Jaws” is out there in the deep blue. A giant shark waiting to take a bite out of your vacation. Before people became green and eco-conscious travelers, boaters used to often throw garbage overboard. 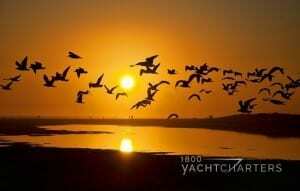 Now, the real danger is to those land lubbers putting a toe in the water at the beach. 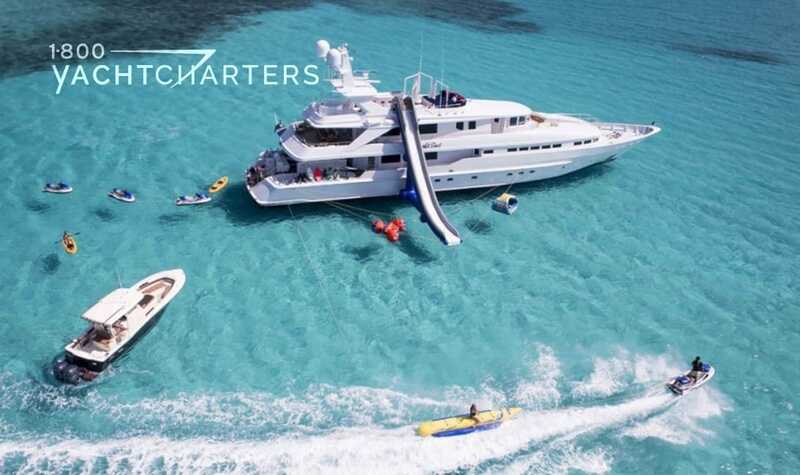 Here is some educational information, in case you have friends who aren’t lucky enough to own a superyacht or prefer luxury sailing charter vacations. Feel free to share this information with them. Due to its thousands of annual beachgoers, and toothy inhabitants hunting offshore, New Smyrna is the shark attack capital of the world. That’s according to the International Shark Attack File (ISAF), which cites 210 attacks in the beach’s home county of Volusia, Florida. However, gorgeous weather, miles of white sand, and consistent surf breaks draw vacationers into New Smyrna’s waters. No. 2 on the ISAF for unprovoked attacks is Oahu, where Tiger, Galapagos, and Sandbar Sharks congregate in high numbers, especially near beaches on the island’s north shore. This doesn’t stop surfers, who flock to Velzyland Beach, the Leftovers Break, and dozens of additional wave-beaten beaches where apex predators search and swim. Source material for “Jaws,” a 1974 novel by Peter Benchley – and later a movie by Steven Spielberg – came from incidents at this New Jersey beach in 1916. In an unprecedented 11 days, five major attacks took place along the Jersey Shore, four of which were fatal. Reports cited blood turning the water red and sharks following victims toward the beach. Today, sharks are rare there, but the legend lives on in the surf and swells of these tepid Atlantic waters. Though it didn’t happen at a beach, the death of an Austrian lawyer who was diving with them in February 2008 off the Bahamas has sharpened attention in these tropical waters, which Patrick Douglas, owner of Shark Diver, an ocean guiding outfit in San Francisco, said are “among the shark-iest places on the planet.” He has seen 14-foot-long tiger sharks offshore from beaches were thousands of tourists swim and sun each year. In the shadow of Marin County’s Mt. Tamalpais, Stinson Beach is a spot where great white sharks swim into the shallows. Patrick Douglas said he has sighted them at Stinson – which is a neighboring stretch of sand east from Bolinas Beach (No. 3 on the list) – in less than 20 feet of water. “They’re coming to feed on seals, though it’s not uncommon for surfers to see them,” he said. In the past 100 years, there have been 90 reported shark confrontations on beaches in this county on Florida’s east coast. Visitors head east from Orlando to the ocean to dip their toes in the tepid waters at Cocoa Beach, Jetty Park, and Klondike Beach, a 24-mile-long wilderness beach accessible only by foot in Canaveral National Seashore preserve. South Carolina has seen more than 50 total shark attacks over the past century, according to the International Shark Attack File. Of those, 16 attacks are recorded off the beaches of Horry County, where the town of Myrtle Beach is famous as a tourist destination. The good news: The International Shark Attack File cites no fatal shark attacks in South Carolina since 1852. A freak great white attack in 2008 at Solana Beach in San Diego County, California, killed a 66-year-old swimmer. He was on a morning swim, training with a group when the attack occurred. Solana Beach, home to a population of seals, is at the periphery of the corridor where great sharks commonly roam. The International Shark Attack File cites one fatality and 12 attacks since 1911 at the beaches of Galveston, Texas, which is a city on an island on the Gulf Coast. It is by no means an attack hot spot, but swimmers are justified in their concern as to what’s roaming offshore. Over the course of a month last spring, the beaches near Zihuatanejo, a city on the Pacific Coast north of Acapulco, saw three shark attacks and two fatalities. A shark hunt ensued, with local fisherman baiting lines and patrolling waters where surfers regularly bob. You are ready to rent a yacht, so who do you call? 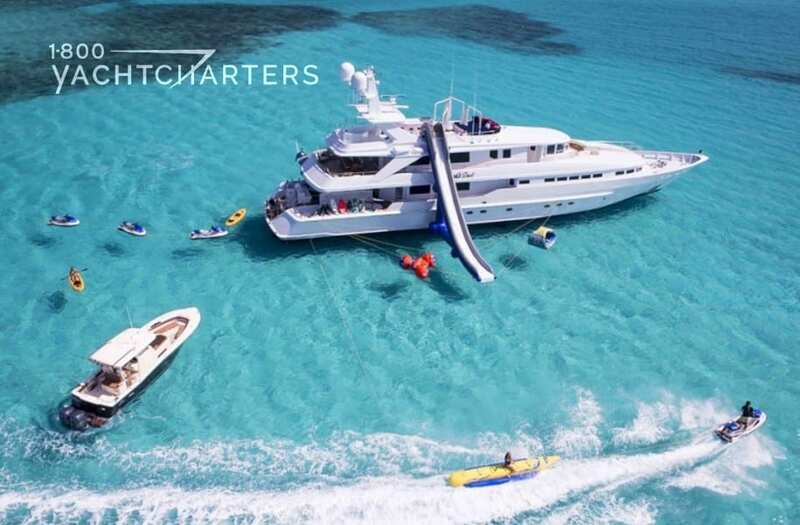 Contact 1-800 Yacht Charters at https://www.1800yachtcharters.com/book-now-contact-us/ TODAY, and we’ll plan a wonderful vacation with you! 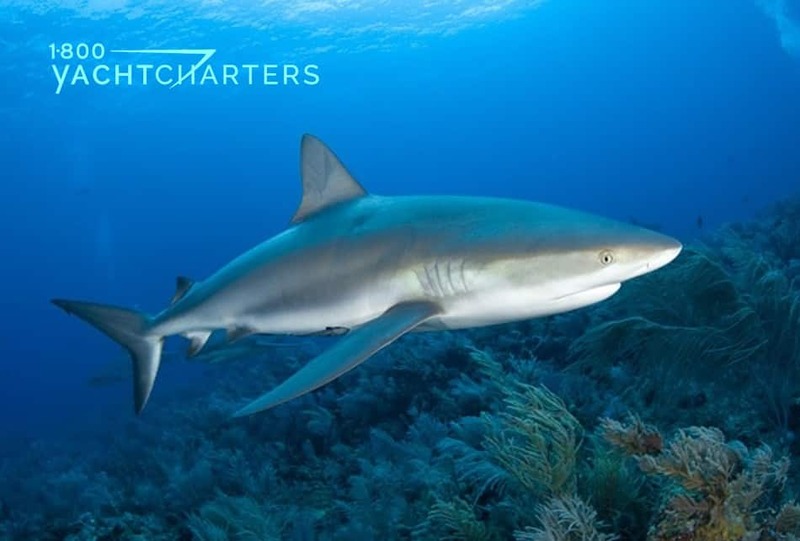 This entry was posted in Yacht Charter and tagged yacht charter Bahamas, private luxury yacht charter, yacht charter Florida, Bahamas yacht charter, florida yacht charter, shark attacks, shark yacht charter, are there sharks on a yacht charter? Will Synthetic Sponge Revolutionize Ocean Oil Spill Cleanup? Wow. Can it be that the BP Deepwater Horizons oil spill in the Gulf of Mexico was five years ago? For those of us who make a living from the sea, the memories of millions of gallons of crude oil spewing into the Gulf is still fresh on our minds. 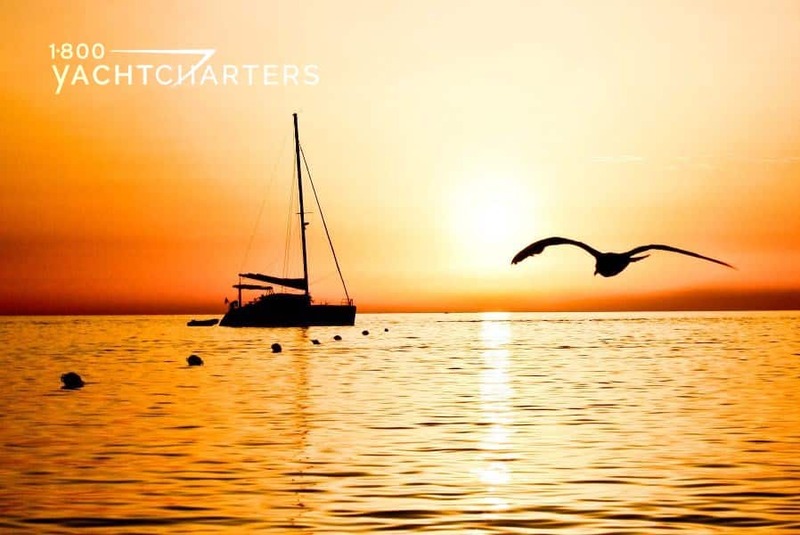 As private yacht charter consultants, we look for every opportunity to promote sustainability and environmental awareness to our clients. That’s why we were thrilled to read a recent report from a team of researchers at Australia’s Deakin University. These scientists claim to have found an effective solution to clean up a major oil spill at sea. 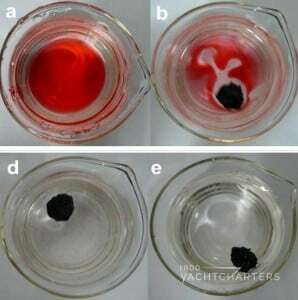 They have developed a special porous material that can soak up to 33 times its own weight in oil and organic solvents. About two years ago, the researchers developed a boron nitride powder which they named, “White graphite.” The powder exhibited strong oil-absorption properties. From there, they developed a sponge containing the boron nitride powder. They broke the powder down into thin nanosheets, consisting of tiny flakes measuring only several nanometers in thickness. The flakes have tiny, microscopic holes that serve to increase the sponge’s surface area per gram to the size of five and a half tennis courts. “The pores in the nanosheets provide the surface area to absorb oils and organic solvents up to 33 times its own weight,” says Dr Weiwei Lei, lead researcher for the University’s team. Additionally, the sponge material is said to be flame-resistant. The Deakin researchers are now looking for industry partners to begin trialing the technology, with the hopes it can be adapted to form ultra-light aerogels and membranes to clean up large-scale ocean oil spills. With any luck at all, the idea of a Florida yacht charter vacation being postponed or cancelled due to a nearby oil spill might become a problem of the past. What actions do you take in your daily life to improve and protect your hometown’s natural resources? Share your actions and ideas with us below, and we’ll send you a complimentary Eco-tote bag.